Durable quicksand hybrid case protects your phone from scratches and scuffs. Composed of extra fine glitter mixed with specks of floating stars or hearts in clear liquid case. 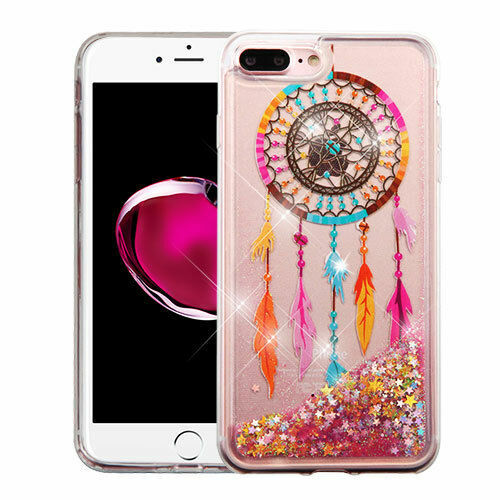 For Apple iPhone 7 & 7 PLUS HYBRID KICK STAND Rubber Case Phone Cover Accessory. The product was nice. I liked the design. It was not hardcover at all and it totally did not look the same as it did in the picture. If it was hard cover the glitter wouldnt move because im pressing my finger on it.